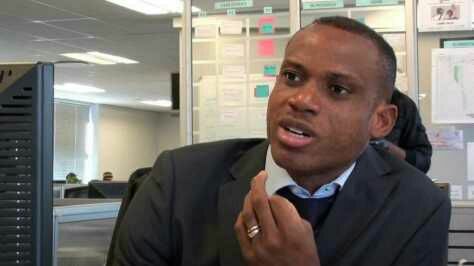 Former coach of the Super Eagles, Sunday Oliseh, may have unwittingly prophesied that the team will not make it to next year’s Africa Cup of Nations in Gabon. Nigeria will not be at next year’s Africa Cup of Nations, after they were beaten1-0 by Egypt in Alexandria on Tuesday. With Chad withdrawing from the qualifying series, the Super Eagles went into the match two points behind the Pharoahs and one ahead of Tanzania. Ramadan Sobhy scored the only goal at the Borg El Arab Stadium, as Samson Siasia’s men failed to pick up the three points they needed to overhaul Egypt in Group. The former African champions have now failed to qualify for the AFCON on three of the last four occasions, with two of those failed qualification campaigns under Siasia. However, it was Oliseh who was in charge of the team, when they drew 0-0 with Tanzania in the qualifying series.